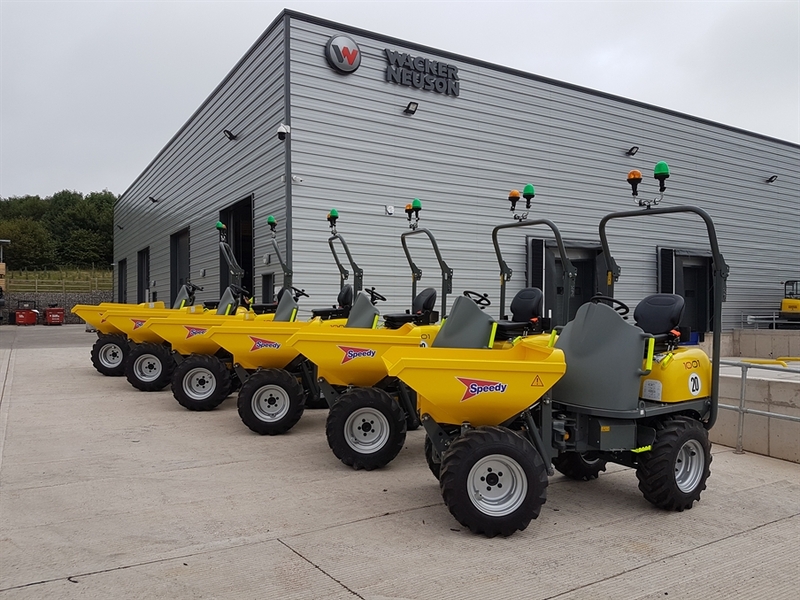 We're pleased to announce that Speedy have purchased 10 new 1 tonne high tip dumpers from Wacker Neuson. These machines are quick, safe and allow easy transport of material, even on the roughest terrain. The four-wheel dumper 1001 is particularly versatile and robust, making it suitable for a wide range of applications. It also has a high-tipping skip (1.56m dumping height) with a maximum payload of 1000kg. In line with our new 'Ready for Rent' project, all ten dumpers arrived complete with high visibility steps and grab handles, green beacons, high visibility seat belts and unique Speedy fleet decals. This latest investment in light plant equipment further expands our offering, ensuring customers have access to the latest products on the market.